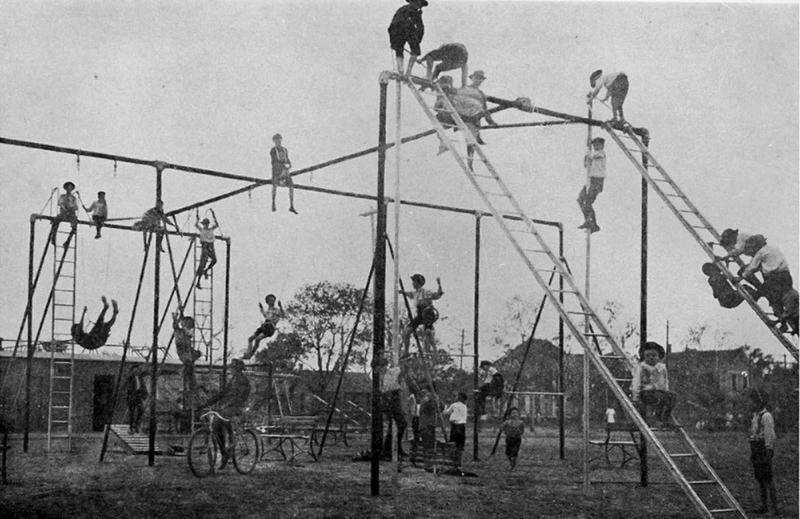 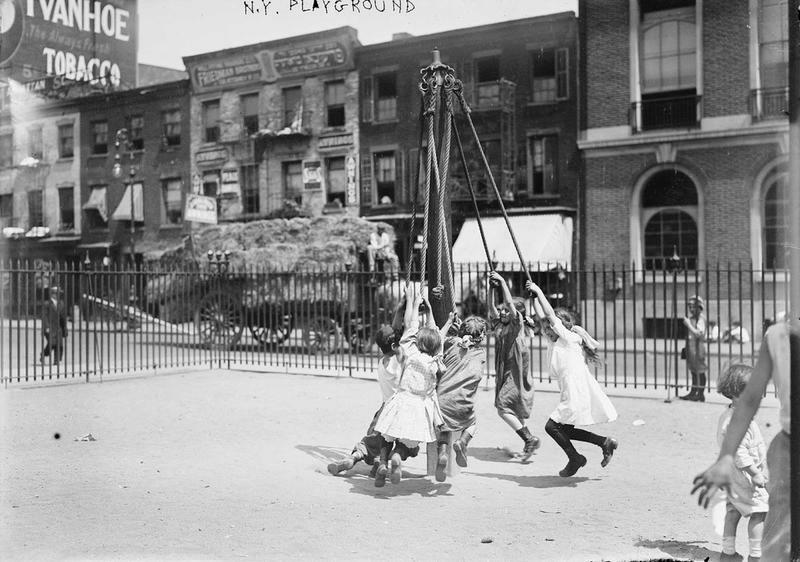 The idea of the playground as a method for imbuing children with a sense of fair play and good manners came from Germany where playgrounds were erected in connection to schools. 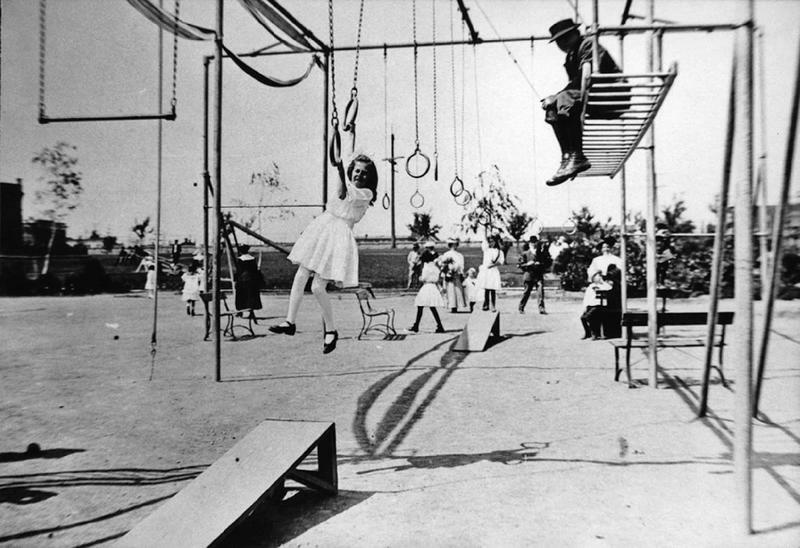 Humanitarians saw playgrounds as the solution to cramped quarters, poor air quality, and social isolation. 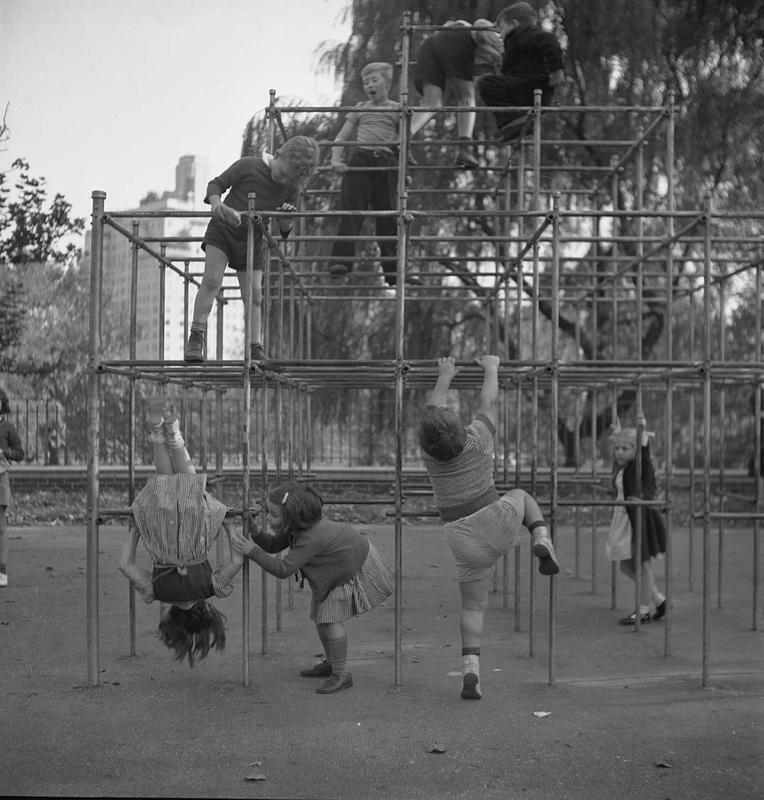 This new concept could keep children off the dangerous streets and help them develop their physical health, good habits, socialization skills, and the pleasure of being a child. 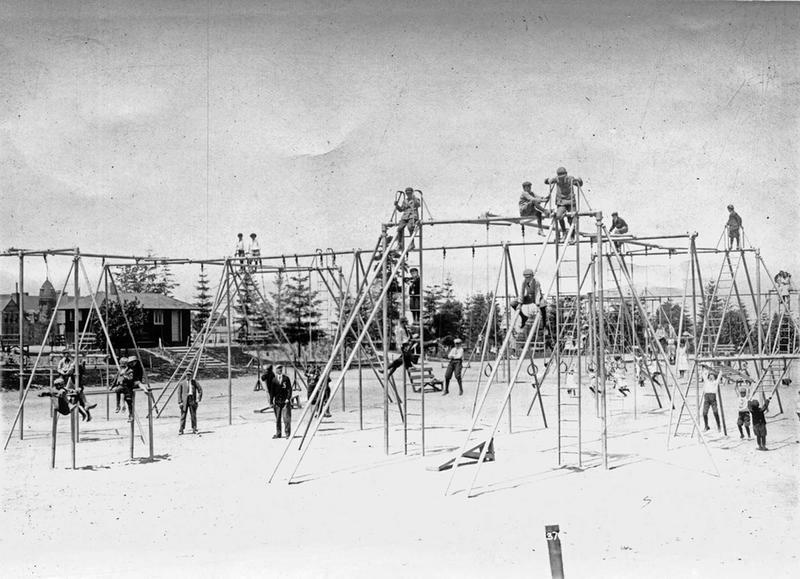 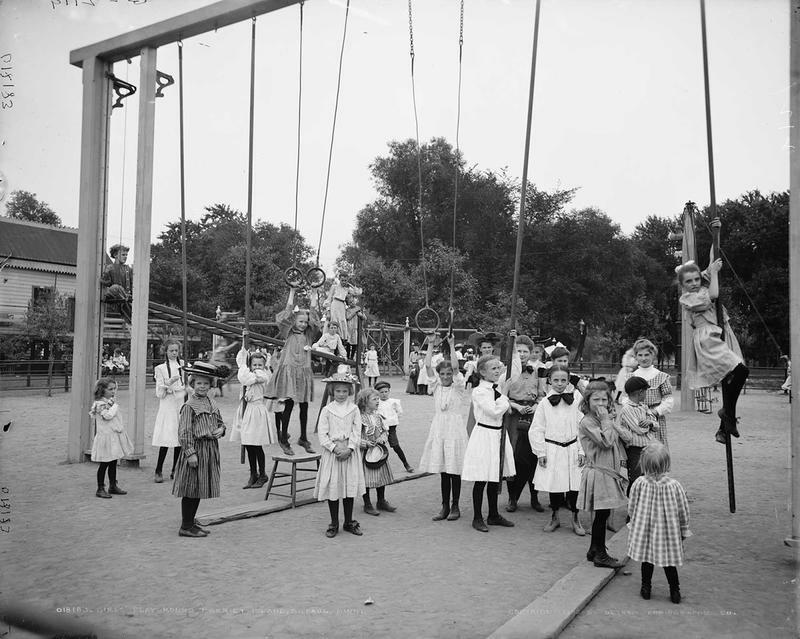 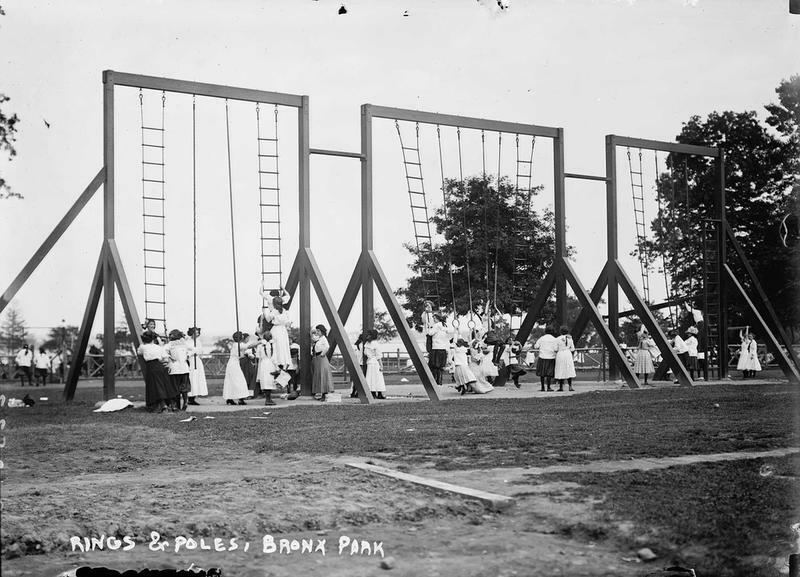 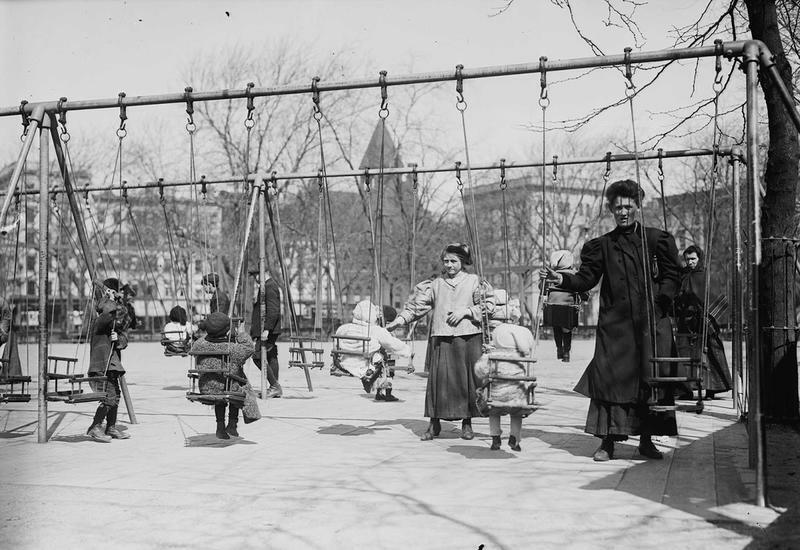 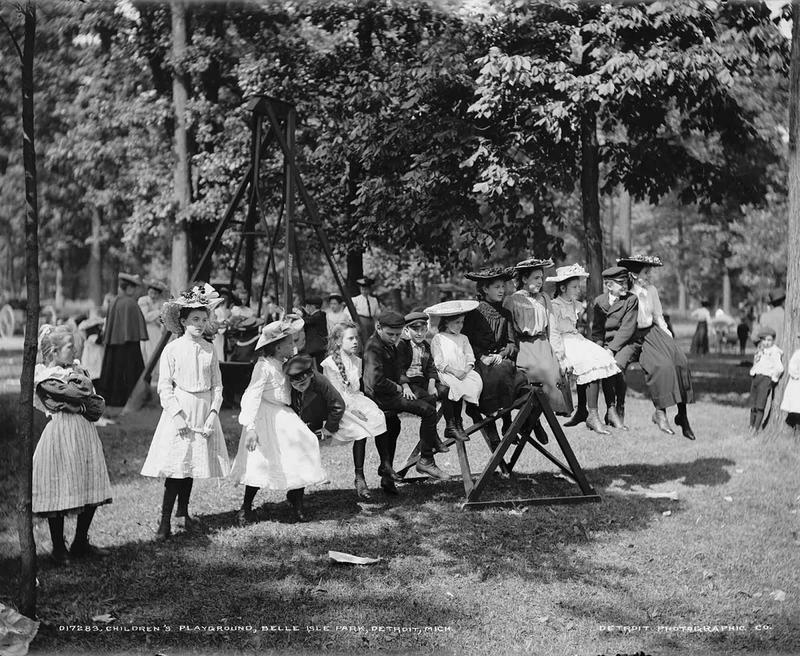 The first playground in the USA was built in San Francisco’s Golden Gate Park in 1887.